A big necklace that consists of gilt and painted ceramic cucumber and strawberry beads. Pauline Wiertz was originally trained as a ceramic artist at the Gerrit Rietveld Academy in the 1970s. Wiertz started making jewelry in 2000. She started with necklaces made of big porcelain beads decorated with her own ceramic transfers, combined with felt. These necklaces were influenced by ethnic jewelry from Tibet and India. 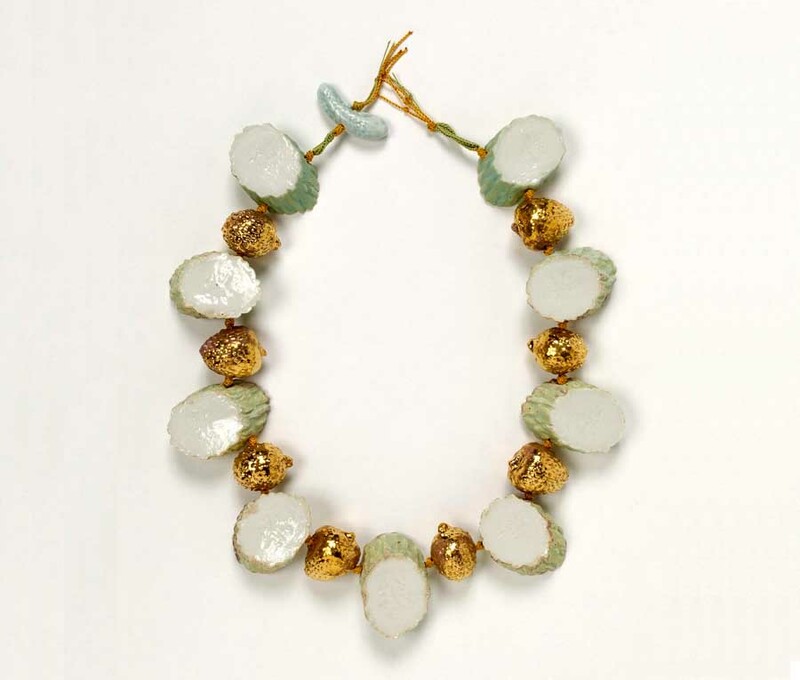 Gradually Wiertz started using the same elements in her jewelry as in her sculptural pieces; fruit and vegetables. In her sculpture Wiertz stacks her cast forms into big still lives which reminds us of paintings of the ‘Golden Age’. For her work Wiertz collects objects, mostly with natural forms, while shopping on the market for dinner! These finds Wiertz casts in plaster moulds. From the moulds the porcelain elements for her work are made. Wiertz’ knowledge of glazes gives her plenty of possibilities of adding colour and texture to her pieces. 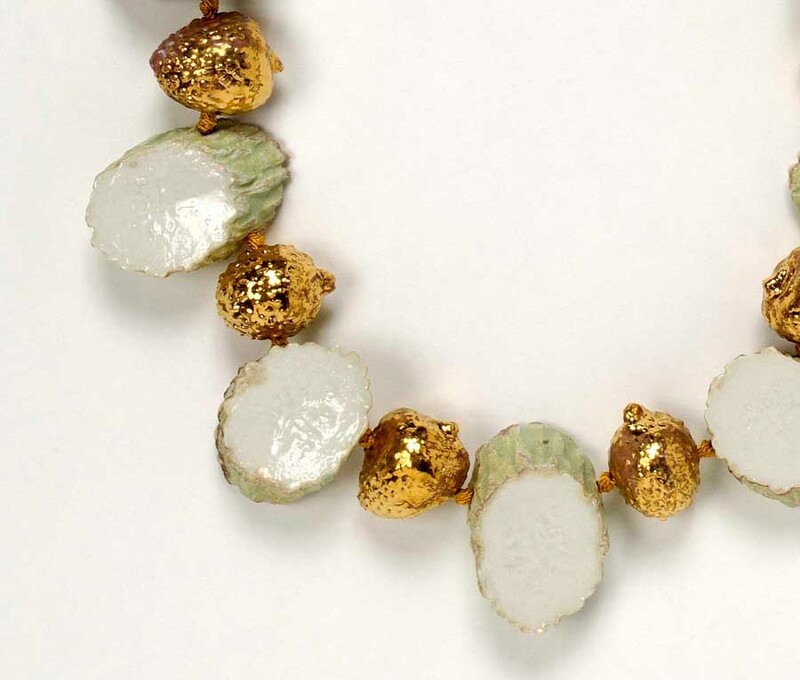 This Cucumber necklace is Wiertz latest work.